A Canadian drug distributor has issued an urgent recall for Alysena birth control pills. 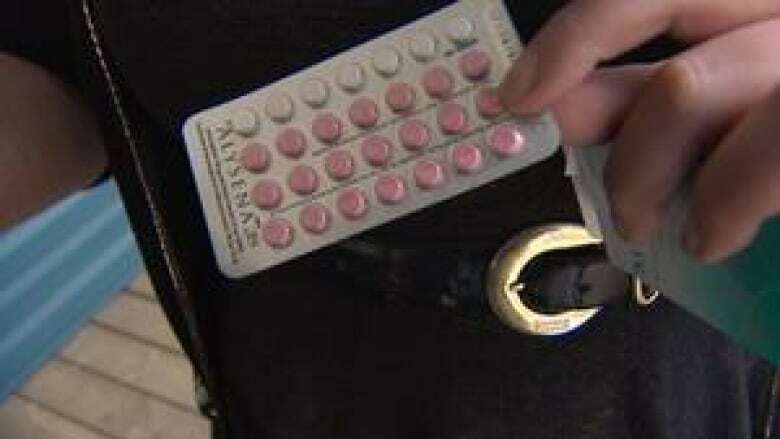 A Canadian drug distributor has issued an urgent recall for Alysena-28 birth control pills. Apotex says one batch of the Alysena-28 may contain two weeks of placebo sugar pills instead of one, adding the error can reduce the effectiveness of the pills and raises the possibility of unplanned pregnancy. The company informed wholesalers and retailers Friday, but did not inform women who are taking the pill. The code on the recalled packages is LF01899A. The bad packages were distributed in all provinces except Saskatchewan and Alberta. When Vancouver-based London Drugs learned of the recall, the pharmacy activated its own crisis plan, and informed more than 350 women who may have been sold the faulty pills. "I looked at it and said, 'there could be unwanted pregnancies out there," said vice-president John Tse. "We felt it was important to let the patient know so there can be a judgment call from the patient." London Drugs is offering free pregnancy tests or the morning-after pill for anyone who was taking Alysena-28. Tse said it's the only acceptable response. "We felt we need to go and look after our patients, because who would fight for our patients." Emily Costello, a university student in Halifax who uses the drug, said she panicked when she heard about the recall. "I felt like I was going to throw up to be quite honest — just that deep pit in your stomach when you just know that something could go horribly wrong very quickly," she said. Costello checked her pills, but they were not from the recalled batch. "It's unbelievable to me that they didn't do a public recall right away," she said. "What were the reasons that they had to go through the retail first?" In Halifax, volunteers at the the Sexual Health Centre spent the afternoon contacting 120 clients who might be taking the recalled drug. "The fact that they might have a week where they're not protected during their ovulation cycle because of this recall is pretty huge," said executive director John Britton. "We are updating our telephone messaging system just so people are fully aware of what's happened." The recall was initially deemed a voluntary type 2, but Health Canada upgraded the status Monday to type 1, the most serious recall. Tammy Smithem, a spokeswoman from Shoppers Drug Mart, said the bad batch was dispensed to patients from December 2012 until the recall last week. She said when the recall level was upgraded, the company kicked into action. "We're going to be doing everything in our power to contact these patients and ensure that they're aware of the potential risk," she said. Smithem said they're looking for more details from Apotex about the error. "Once we determine that, we can see if there's additional services that we need to offer our patients," she said. Apotex has not responded to CBC's requests for comment.